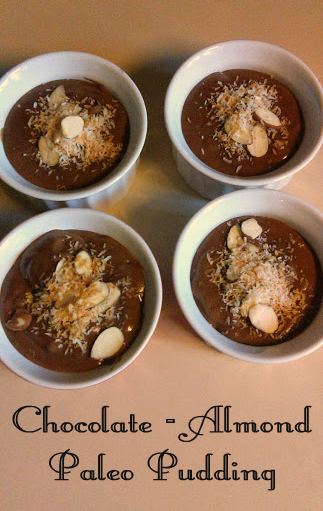 *Please note, if replacing liquid sweetener with Stevia powder, you will need to add additional milk (3/4 cup milk for 1 cup of liquid sweetener replaced) to avoid making pudding too thick. 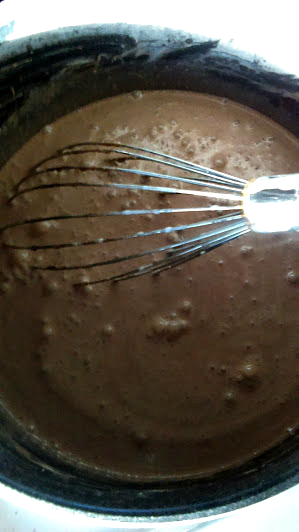 1) Stir together the cocoa or carob powder with the starches in saucepan. 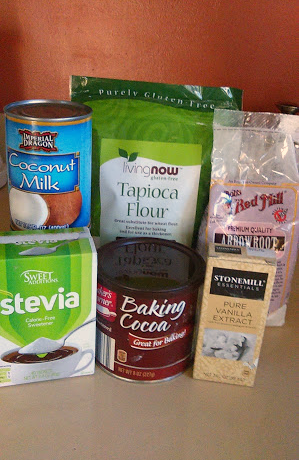 2) Add 1 cup of the coconut milk and stir until it forms a smooth paste. 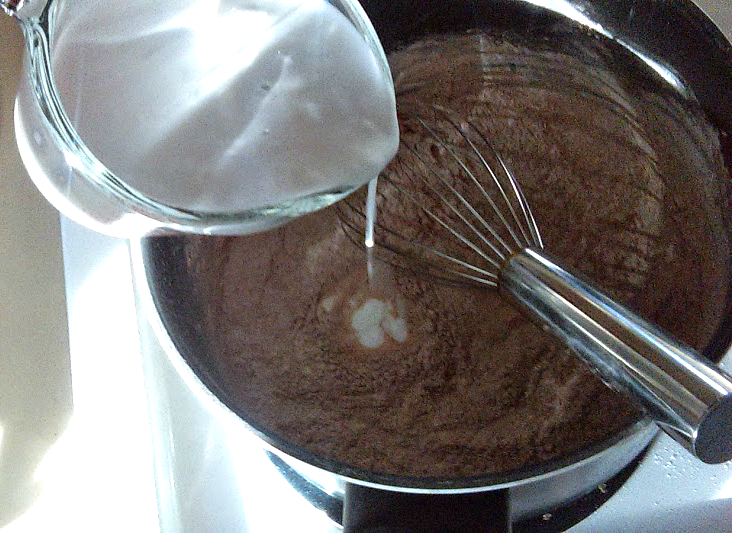 3) Stir in the rest of the milk(s) and sweetener(s). 4) Cook over medium heat, stirring frequently, until the mixture thickens and comes to a boil. 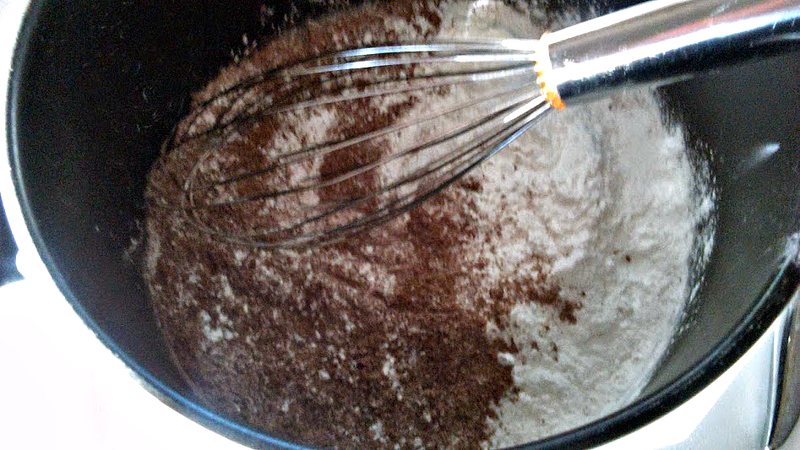 5) Remove heat and stir in the extracts. 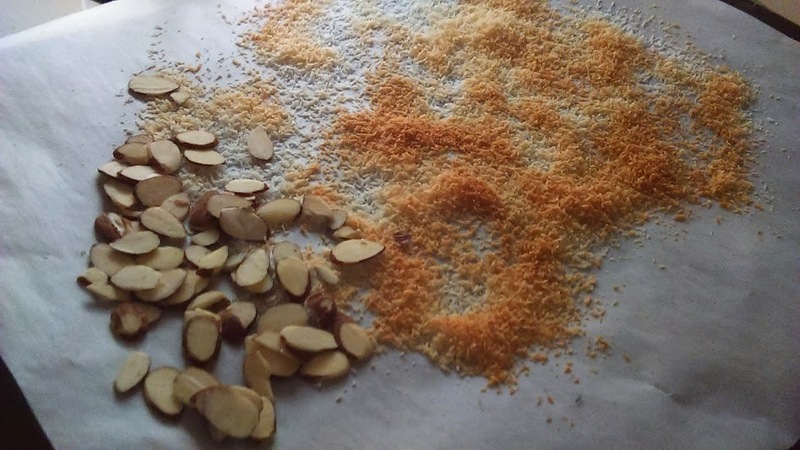 6) For an added touch, toast unsweetened coconut and almond slivers under broiler. 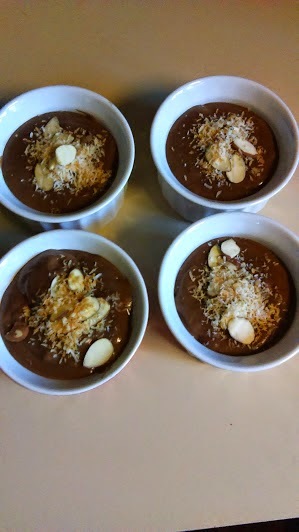 7) Divide into 8 serving dishes and garnish with toasted almonds and coconut. Serve warm or chilled. Delicious!